Guest ranch vacations for couples are a perfect vacation idea. Whether you’re going on a honeymoon, celebrating an anniversary or just looking to reconnect while getting away from the hustle and bustle of it all – a weekend at the ranch is something that you and your partner can enjoy. Romance on the ranch is very easily accomplished with all the beautiful vistas. So, what exactly can you expect from a guest ranch vacation for couples? Indeed, there are many things that you and your partner can do. You can go on a romantic walk, ride together into the sunset, have a romantic meal or go for a quick dip at the pool. Many guest ranch vacation venues have spa services, so you can also have a relaxing massage together. Of course, you do not have to do anything at all to have a romantic time. You can just sit together by the evening fire or have wine while sitting out o the porch of your cabin. Many people enter a guest ranch vacation for couples with grand expectations. Your expectations and that of your spouse may clash. You may want to simply relax, while your partner may want to try all the outdoor activities available. It is a good idea to have a sit down with your partner and talk about your expectations. This way, you both meet eye to eye and make the adjustments that you need to make to achieve a good time. Prepare the things that you need to bring for your guest ranch vacation. You can actually take note of the amenities and activities that you want to try together as a couple, and build your list from there. Many couple’s ranches have trails where you can take romantic walks or hikes together, so you may want to bring your hiking boots. You may also want to pack some jackets – sitting around the fire or underneath the night sky may also be a romantic for you. Some cabins have their own hot tubs, so do not forget to bring your swimwear as well. If it’s a special occasion, let the guest ranch know in advance. They may be able to make some special preparations for you in advance. A couple’s vacation is the perfect time for you and your partner to unwind and enjoy yourselves. But before doing that, make sure that you plan the guest ranch activities you want to enjoy and make any necessary bookings. Modern guest ranches have a wide range of activities you can try from outdoor excursions to spa treatments. Also, many guest ranches have gourmet food and menus. Don’t risk being disappointed because your favorite activities are booked. You want the vacation to be all about you and the love of your life. The less distractions and worries, the better you can enjoy your time together. While you may be pressed to try out many ranch activities, you do not have to pressure yourself or your partner to try all the outdoor activities just to make your vacation meaningful. 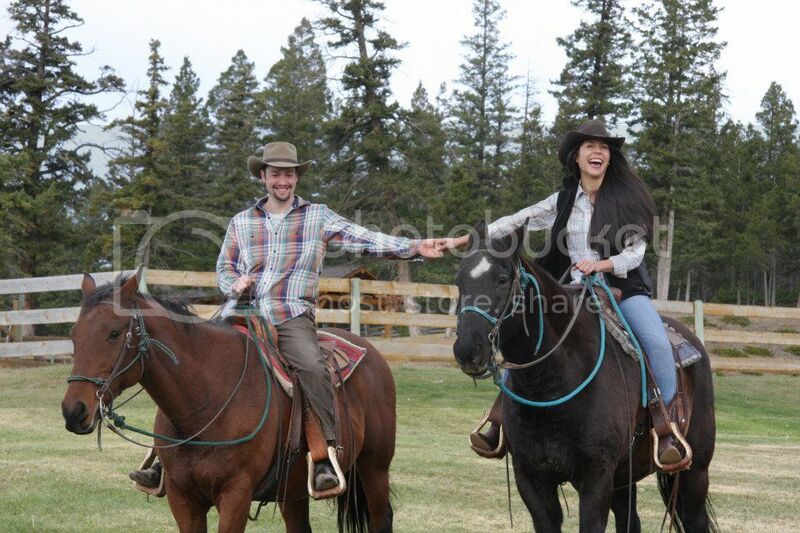 It doesn’t really matter what you do and what you don’t do in a guest ranch vacation for couples. What is important is that in the end, both of you have fun. When you are ready to find that perfect couples guest ranch, use the Ranchseeker dude ranch search engine to help plan your vacation.